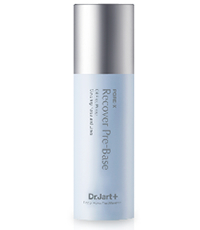 Pore primer of alcohol free, pigment free, preservative free, oil free with low irritation. All the harmful ingredients are removed making it safe to use on sensitive skin without worrying about skin troubles. Hyaluronic acid increases adhesiveness of makeup on the skin and gives makeup boosting effect preventing makeup from messing up. Silky and soft Art Skin Film ingredient naturally covers fine wrinkles around the eyes and pores presenting smooth skin texture. Betain and LS-8865, a mushroom extract, care pores and gives purifying function making the skin texture tight. does not clog up pores for comfortable sensation. Applies on the skin lightly and evenly maintaining clean skin for a long time. sebum control function gives matte finish and controls sebum around the nose and T-zone for longer lasting makeup. Before makeup stage, apply a small amount of it to the desired part. This entry was posted in 1 and tagged Dr jart, DR JART PORE X PREBASE PRIMER, Fr3b, Free giveaways, free samples, freebies, S’pores 1st Sampling Concept Store, singapore free beauty samples, singapore’s 1st online sampling platform, skincare, www.fr3b.com. Bookmark the permalink.